Before beginning a career in Property Management, Megan had worked in both hospitality and business administration. In her mid-twenties Megan decided to look for a role that was more challenging than what she’d been doing and in a field that she was interested in. Real Estate has certainly proved to be both challenging and interesting! 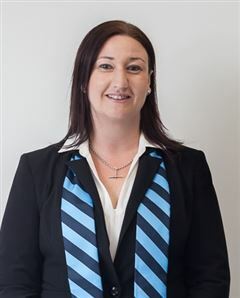 Megan began working at Harcourts in 2005 and after gaining valuable experience through the Harcourts systems and networks she started her own property management company in 2009. After almost 6 sucessful years in business, she has returned to Harcourts. Personal career highlights for Megan were being nominated for Australian Property Manager of the Year at the Real Estate Institute of Australia Awards in Darwin in 2012 and being a state finalist in two categories for the Telstra Business Women’s Awards in 2012. On a day to day basis Megan oversees some of the Property Management team and helps out at busy times and when staff are on leave. She also helps to solve any problems that might arise. Megan holds a Sales Consultant's License, Assistant Property Manager's Licence and has recently completed her Diploma In Property. Megan also holds a Certificate IV in Workplace Training & Assessment and is a trainer for the Real Estate Institute of Tasmania.